Basic Level DBS Checks (Applicants living in the UK, Excluding Scotland). Standard Level DBS Checks (Individuals can not process their own check for anything higher than a Basic level check). Enhanced DBS Check (Not to be carried out by the applicant themselves). Basic CRB Checks also known as a Basic Disclosure, Basic DBS and Disclosure Scotland can cause a bit of confusion. 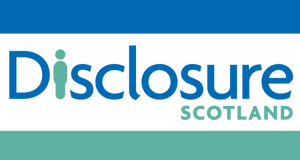 Prior to January 2018 all Basic Disclosures were processed and issued via Disclosure Scotland regardless of where in the UK you were living. These checks have now been taken over by the DBS who process and issue certificates for applicants living in the UK (excluding Scotland). If you are living in Scotland please read below. Applicants that live in Scotland can process an application with Disclosure Scotland via their online service which can be found here, or alternatively a paper form can be downloaded completed and posted, please see the following link for guidance. If you’ve been told that you’re going to need a CRB check as part of a new job application – don’t panic. It’s something which thousands of people are asked to do each year and doesn’t have to be daunting. We’re going to take you step by step through the process and give you all the information you’ll need to do your CRB check application online. CRB stands for Criminal Records Bureau. This was the government organisation which ran the police checking process until 2012. Since then, checks have been done by the Disclosure and Barring Service, or DBS. Don’t get bogged down in the abbreviations – it’s all referring to the same thing. When you apply for a CRB check online, or apply for a DBS check, you’re running checks against the information held about you on the police national computer. The system is all about checking out the background of people who are applying to work in positions of trust or with vulnerable people, like children. Your employer, or leader of a voluntary organisation, will decide whether you need a DBS or CRB check, and lead you through the process. The first thing to do before starting your CRB disclosure online application is to work out which level of check you need. There are three different levels of checking. These are called Basic, Standard and Enhanced. Your employer will know what level of check is needed for the role you will be doing. In general terms, if you’re getting a check for a position of trust in the legal profession or financial services, you’ll have either a basic or standard check. Enhanced DBS check online applications are reserved for people who are going to be in close contact with vulnerable groups. This includes a very wide range of occupations and volunteer roles from home carers, school teachers, sports coaches, youth leaders and hospital cleaners. The difference between the levels of checking is the detail disclosed. As the name suggests, a basic check will only reveal recent convictions and cautions. Standard checks will also reveal more distant convictions which would have been consider “spent” under other circumstances. Enhanced disclosures are more detailed still, and might list other information which the police hold about you if they think it’s relevant. Police checks run and certificate printed. Let’s go through these stages one by one and explain exactly what happens at each point in the process. Most people do their DBS disclosure application online and there are many advantages in doing so. Online forms will highlight the compulsory fields, won’t let you submit without making payment, might flag up typos and will also arrive instantly rather than having to rely on the post. There are a few things to remember when completing the online form. Firstly, fill in every field with all the required information. Applicants have to give a full five year address history and all of their previous names. Missing off information or providing incomplete information will just mean your form is held up as the DBS will contact you to fill in the blanks. If you’re not confident with form filling, or if English isn’t your first language, get someone to look over your form before you submit it. 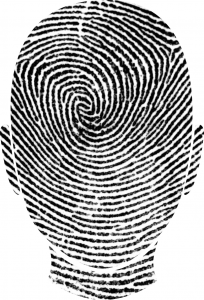 The whole checking process hinges on making sure of the identity of the person being checked. On order to prove that you are who you say you are, you’ll be asked to provide a range of identity and address documents. 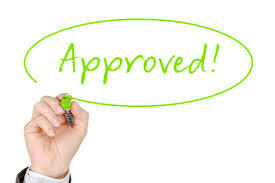 There is an extensive list of what is accepted as ID. In general terms, you’ll need two documents which prove your identity, like your birth certificate, driving licence or passport. One of these documents needs a photo. You’ll also need two documents which prove where you live, like bank statements, council tax bills, utility bills or a P60. All documents you supply to prove your identity have to be the originals – no photocopies or internet printouts are allowed. Documents also have to be current and valid and in the case of bills, dated within the last three months. You’ll be asked to show your documents to an approved person at your employer, who will then sign to say they’ve seen them and verified who you are. Once your form arrives with the DBS, they will check it over to make sure there are no mistakes and no information missing. Applications are then passed to your local police force to check their records. This process usually takes around two weeks, but can take longer at peak periods and in certain parts of the country. It’s also worth mentioning that CRB checks and DBS checks only apply to England and Wales. If you’re in Northern Ireland, you’ll apply to AccessNI. If you’re in Scotland, search for Disclosure Scotland apply online to find out about how the system works there. The Northern Ireland and Scottish systems are broadly similar to the DBS despite using different names. Once the police have run their checks, the information they hold about you – if any – will be printed onto a DBS certificate. The DBS will then send the certificate back to you at the address which you’ve given them. Once the certificate arrives in the post, you have the chance to look it over before handing it to your employer. Finding mistakes isn’t common, but if there are errors on your form you can go back to the DBS and ask for them to be corrected.